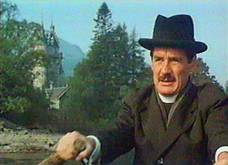 In The Missionary the Reverend Charles Fortescue (Michael Palin) travels 500 miles from London to Carnoustie House in the Highlands of Scotland. 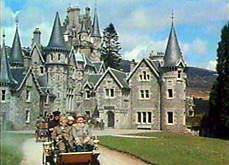 Filmed at Ardverikie House in Badenoch. There is a audio/visual reference to Chariots of Fire (made the previous year) when a group of people are seen running along the lochside with a short burst of Van Gelis's theme from the movie.